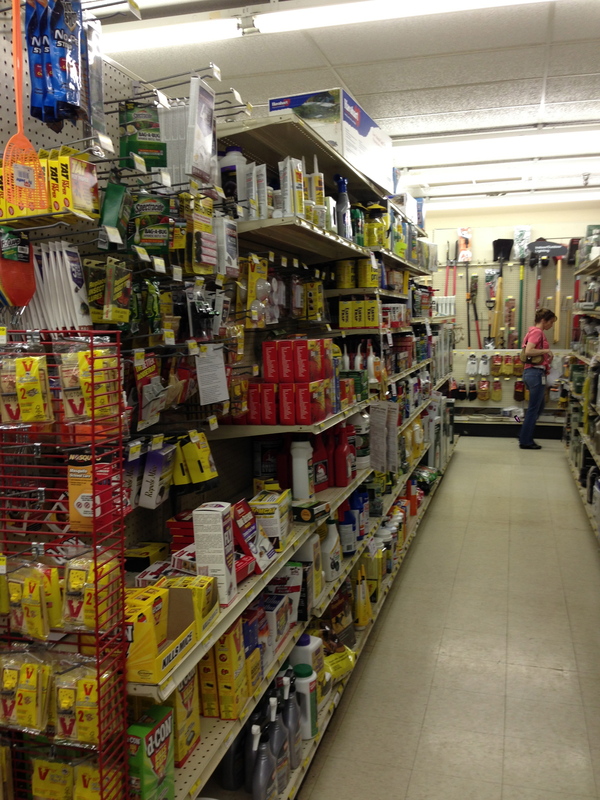 I’m trying to get this post up quickly—too many things to get done and my daughter gets home from Cameroon today—so I’ll skip the fanfare and get right to it. 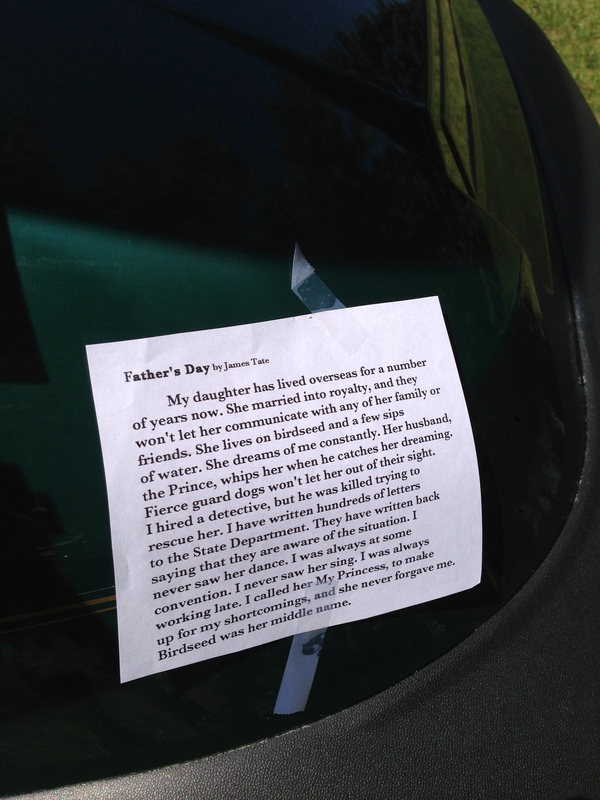 I put an assortment of poems for Father’s Day around town. Three of the poems are fathers addressing daughters. 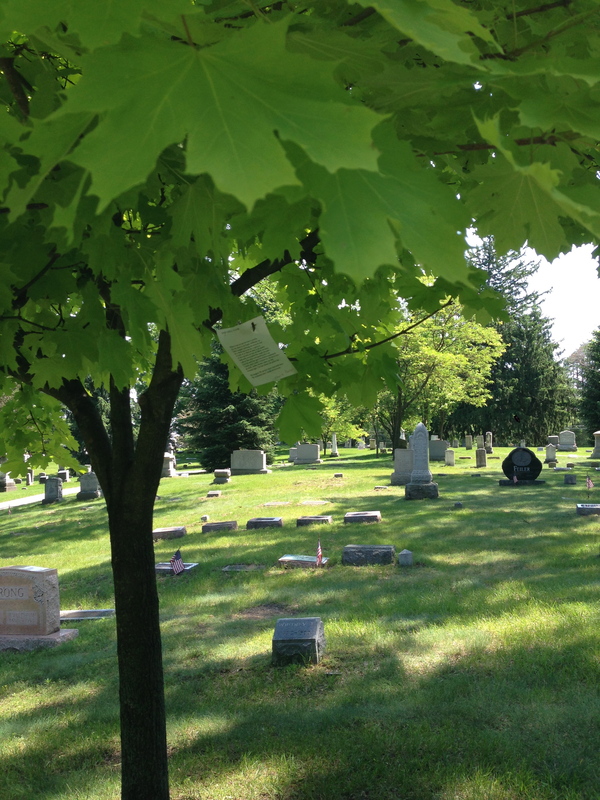 Another poem is a father’s lament for a failed relationship, and another is a daughter’s. One has no mention of a father at all, but it speaks to what I love about fathers. 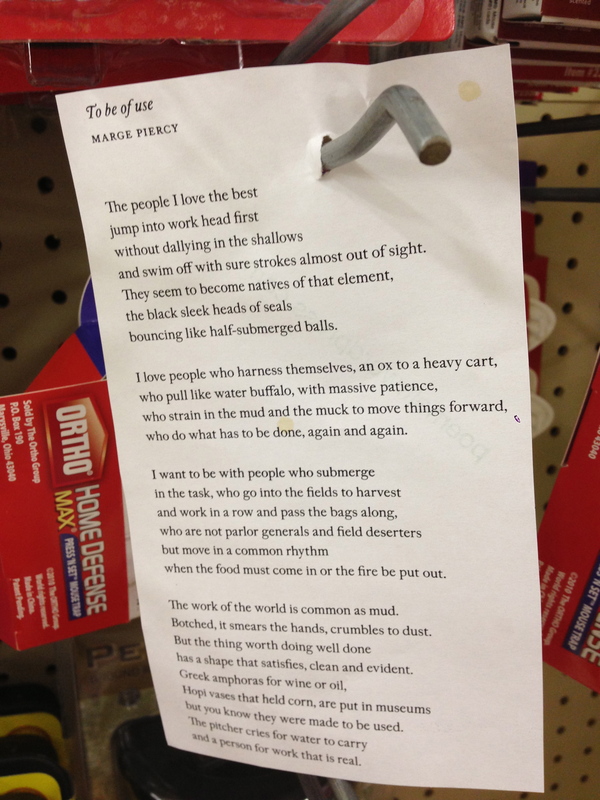 That poem, the one with no particular mention of fathers, is Marge Piercy’s “To be of use.” I put the poem in the mouse trap section of a popular dad hangout, the hardware store. Of course any number of people in the world are useful people, people who do what has to be done, again and again, but I send this poem out to the fathers I’ve known and admired. Especially the ones who empty the mouse traps. 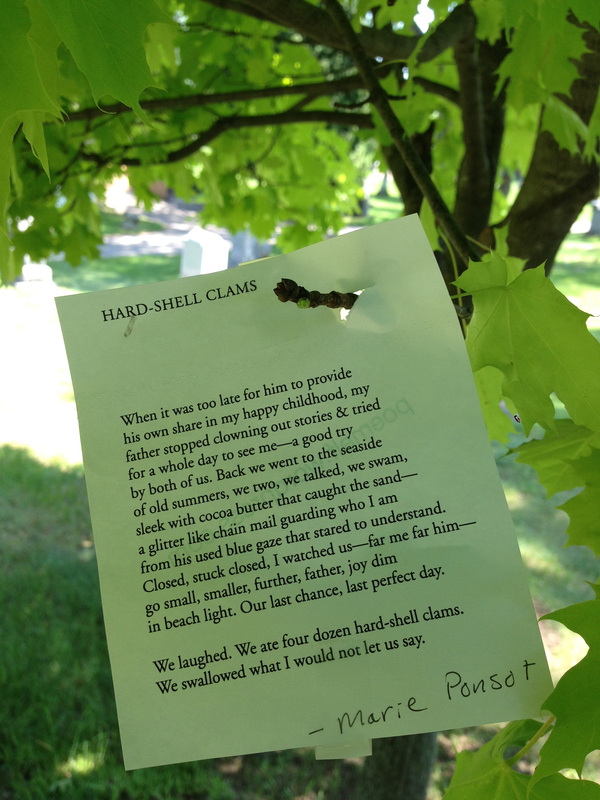 Marie Ponsot’s poem “Hard-Shell Clams” I left in a cemetery. All those buried wounds seemed to belong there. The poem is so beautiful it gives me the shivers. I can’t stop reading it. That image of the sand just kills me: a glitter like chain mail guarding who I am/from his used blue gaze that stared to understand. 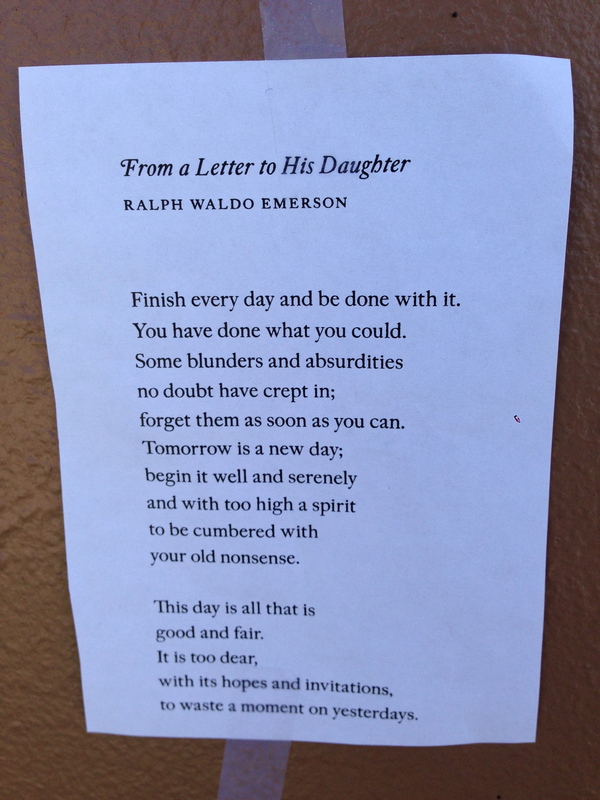 Emerson’s advice is classic dad: get over it and move on. If Mad Men’s Don Draper were a good man, a good father, this is what he might tell his children: Finish every day and be done with it. Some of the advice seems a little dated, but if you substitute other offensive words for “dago” and “wop,” his counsel is sound. He lists tell-tale signs of a loser and abuser: if a boy tries to change you, doesn’t respect you, himself or even a snake, beware. 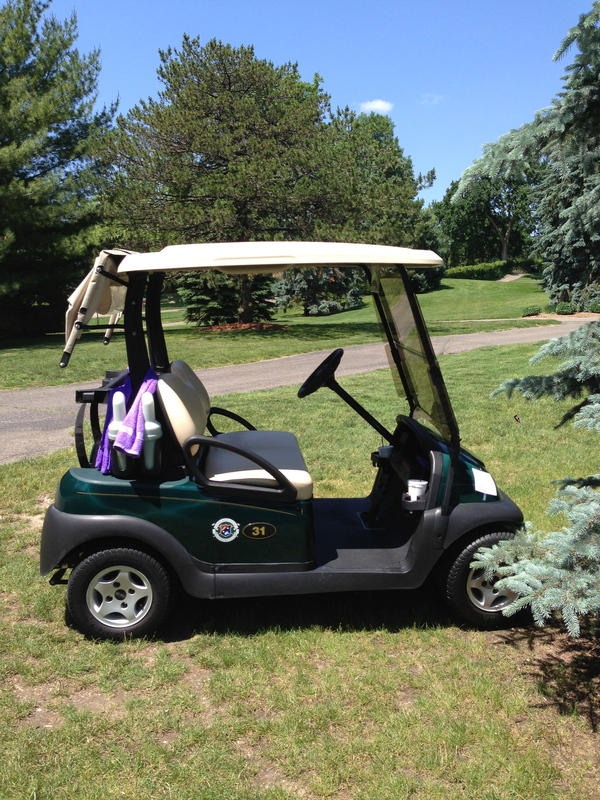 I put James Tates’ “Father’s Day” on a golf cart. No, I’m not accusing all fathers who golf of avoiding their families, but some do. 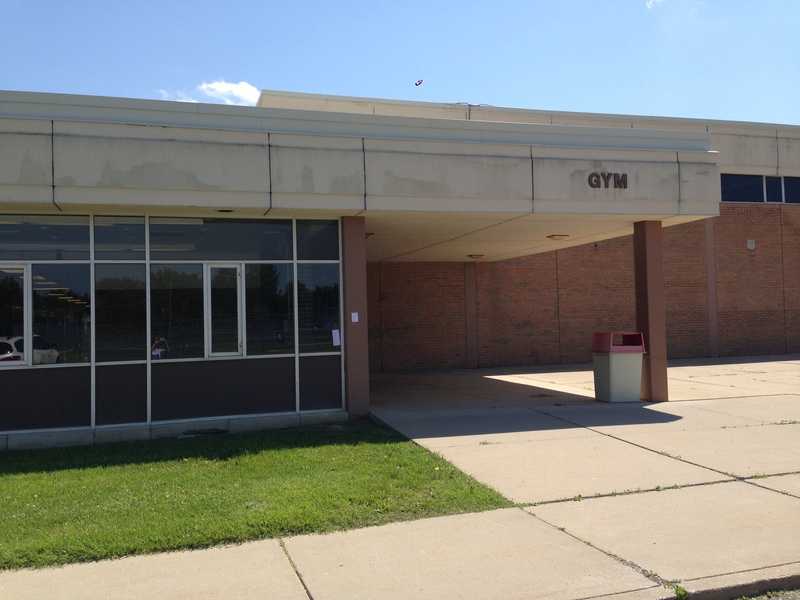 I remember driving by a golf course one Thanksgiving Day with my mother-in-law. It was snowing but sure enough two men were golfing. “Who are they hiding from?” she said wryly. 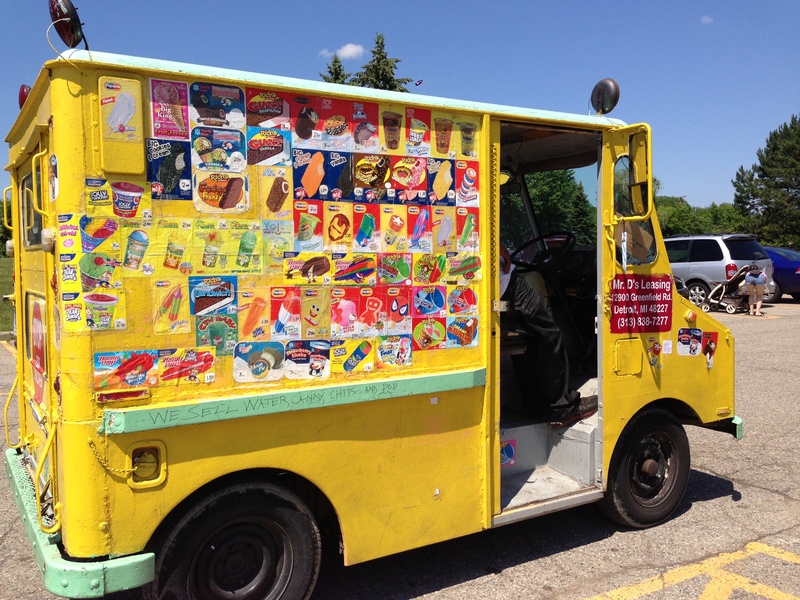 I had to do some talking to get the next poem on an ice cream truck. Poem and camera in hand, I surveyed the situation and realized it would be impossible to tape the poem on the truck without being noticed, so I asked the ice cream man for permission. 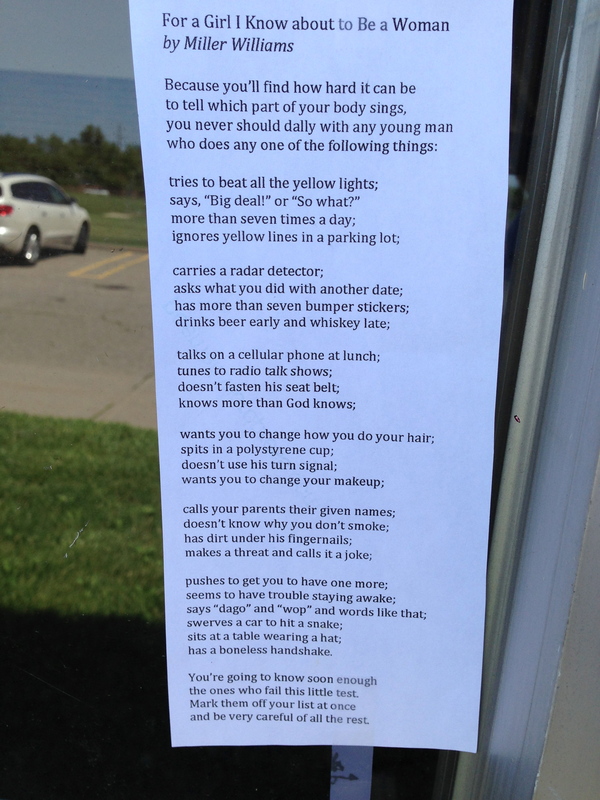 I explained my blog, I showed him the poem, I pointed out where I wanted to tape it. “I don’t get it,” he said. So I read the poem to him and tried to make a connection between a father leaving a treat for his daughter by her bedside and a father who might buy an ice cream treat (that might also stain a mouth blue) for his child. “I still don’t get it,” he said. I changed the subject—we talked about his home country of Tanzania and my daughter’s experiences in Cameroon—and soon he put aside his suspicions of my intent and agreed, as long as he wasn’t in the photograph, to take on the poem. Thank you, ice cream man. This poem is pure and sweet. The father thinks of his daughter as he hikes, plans his little present, gazes at her as she sleeps and imagines her delight as she wakes. She’s on his mind, past, present and future, the lucky child. 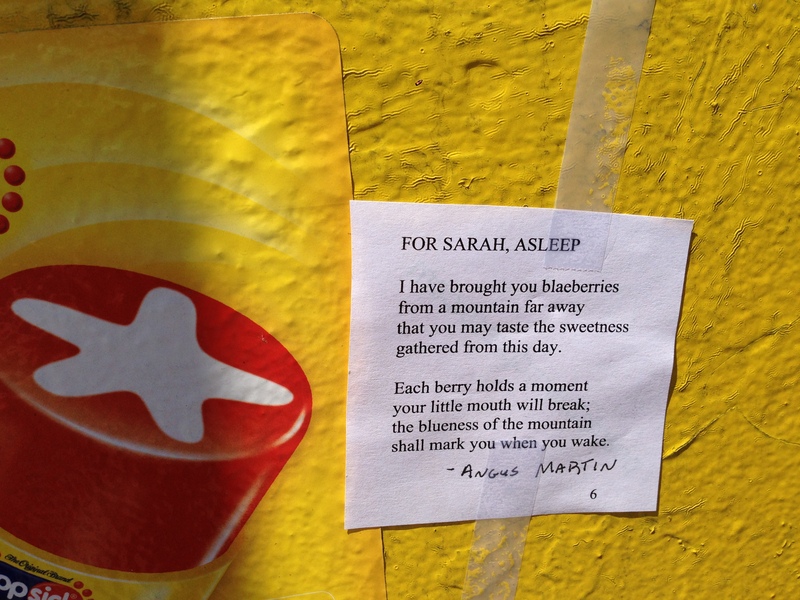 “For Sarah, Asleep” is by my Scottish friend Angus Martin. I hope he gets a kick out of the trek this poem has taken and will take, should the Tanzanian ice cream man decide to leave the poem on his truck.